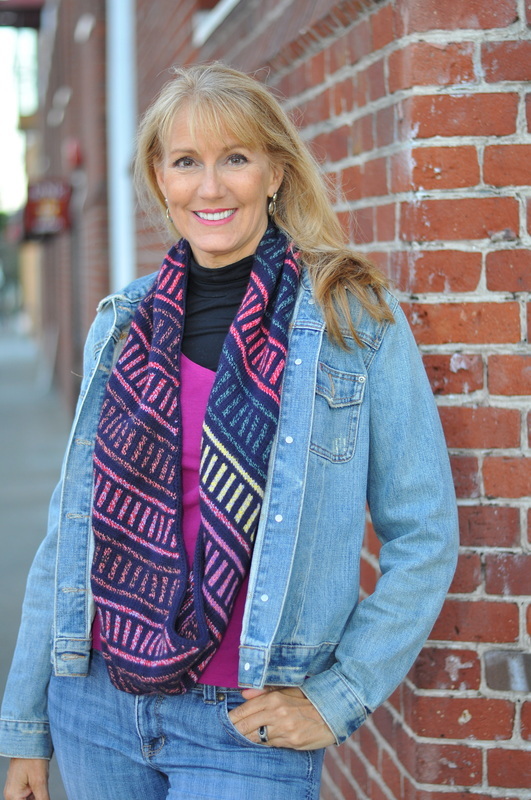 A series of angled stripes in unpredictable colors fill this graphic cowl. Showcasing the unique yarn Stonehedge Crazy, the finished piece is guaranteed to be one-of-a-kind. The body of the cowl is worked flat, and then its ends are grafted together. The edges are picked up for the applied i-cord trim. The project requires intermediate knitting knowledge, including provisional cast on, knit/purl, increasing, decreasing, reading charts, stranded knitting, grafting, picking up stitches, applied i-cord, and finishing.